Exercise benches There are 5 products. 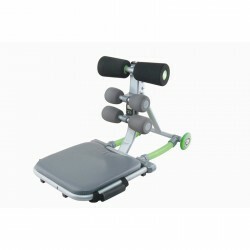 Tone and strengthen your abdominal, oblique and core muscles with this fantastic AB Exerciser from JOCCA. It features a padded headrest to help reduce stress on the neck and spine as well as helping to ensure you perform the exercise correctly. 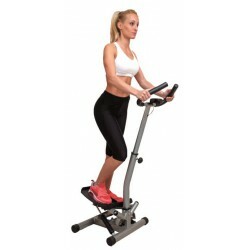 The JOCCA Stepper is perfect to eliminate any extra pounding by home exercising. This easy-to-assemble tool is a low-impact way to take the first steps in improving your overall health. The JOCCA Stepper includes a monitor lets you know how many steps you've taken and the amount of calories you've burned. The JOCCA Balance Air Pad can help you to tone and shape your body, as well as improve balance, lose weight, and help prevent injuries. The Balance Air Pad is made from a tough, durable, vinyl material and features a spiked surface which provides constant stimulation. The JOCCA Abdominal Bench enables you to adapt the intensity of each exercise and also to target different muscles in your torso.